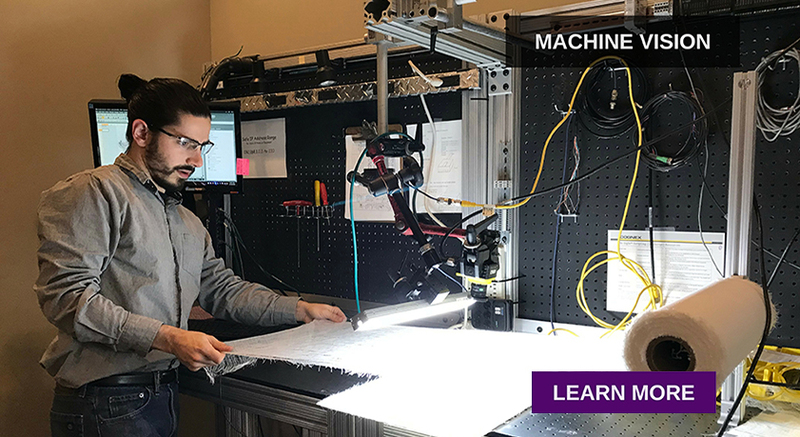 Machine vision uses imaging-based automatic inspection and analysis for such applications as automatic inspection, process control, and robot guidance in industry. Manufacturers can speed production, minimizes defects and reduce costs with machine vision technologies. Image-based industrial ID readers can read 1D code symbologies such as UPC, PDF and postal codes, 2D code symbologies such as Data Matrix and QR, or a mix of barcode and 2D codes simultaneously. Machine vision sensors provide simple and affordable solutions for error-proofing applications. Machine vision systems combine advanced vision tools with high-speed image acquisition and processing in robust industrial packages. Multi smart camera vision system that gets smarter with every camera added. Calibrated 3D laser profilers for product inspection and measurement. Wide variety of machine vision lighting solutions inlcuding, ring lights, back lighting, diffused lighting, spot lights, linear lights as well as lens and filter solutions. Machine vision and lighting mounting brackets, kits and adjustable arms. Portable code reading for Direct Part Marks (DPM) and label-based applications.